Transceiver Checker does what it says on the tin. Easy to use and tiny, it's only let down by not having a replaceable battery. 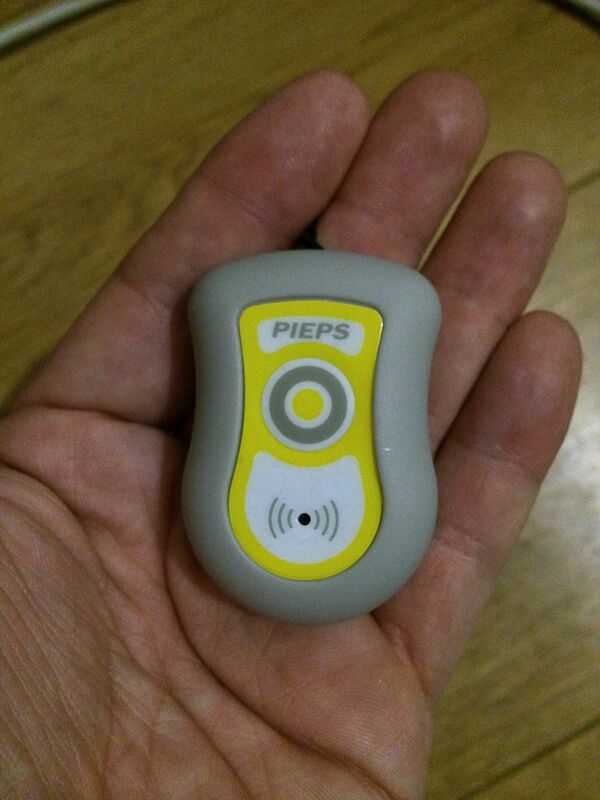 We recently picked up a Pieps transceiver checker which does exactly what it says on the tin, it checks your transceiver is transmitting correctly. While it’s common practice to check your transceiver powers on and all the right lights and displays flash, and that it makes the right noises, how do you know it’s actually transmitting? Certainly, you’ll carry out a group check before you venture off up the hill, but at that point it’s a little late to find out it’s not transmitting despite what it may display on the screen. I don’t know about you, but I only have one transceiver. The Pieps Checker is tiny, and comes on a lanyard. It’s operation is very simple, with one button which you press and hold while the transceiver is on and transmitting (within about 10cm of the Checker). The Checker should emit an audible beep with each pulse, demonstrating the transceiver is working correctly. With a range of only 10cm it’s also easy to carry out a group test without everyone running off into the distance to prevent crossed signals. The unit seems to be sealed for life, but the Pieps website states a 5 year battery life. At only £40, it’s easily disposable and small enough that it isn’t going to be a problem to bring it along with you on any trips. We say 4 stars rather than 5 because we think it would be better if you could replace the battery. While £40 isn’t a lot, it is another electronic device that will, eventually, get binned when it could just have a new battery, also, while operation is pretty obvious, there were no instructions on the packet to explain the range of the device and, indeed, the website states 100cm which we think should be 100mm. Still, a well worthwhile little gadget. 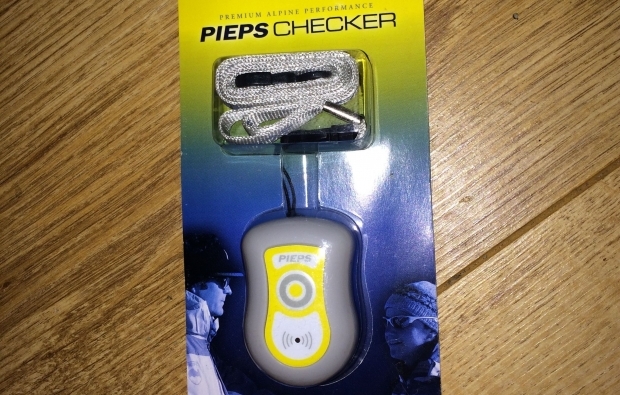 You can buy the Pieps Checker on Amazon for under £40.